Preparation: Place all ingredients, except for the Single Malt Scotch and garnish, into a mixing glass. Pour into a cocktail shaker with ice and shake. Strain into a double old-fashioned glass with a large ice cube. Float the Single Malt Scotch on the top of the drink and garnish with a candied ginger or lemon peel. This recipe is attributed to Sam Ross of Milk & Honey in New York City. Ginger-Honey Syrup: Combine 1/2 cup honey and 1/2 cup water in a saucepan over medium heat and whisk until well combined. Add an ounce of peeled, sliced fresh ginger and bring to a boil; reduce heat and simmer for 10 minuted. Allow to cool completely and strain into a bottle. I found this recipe for the ginger-honey syrup on the website cocktailchronicles.com. 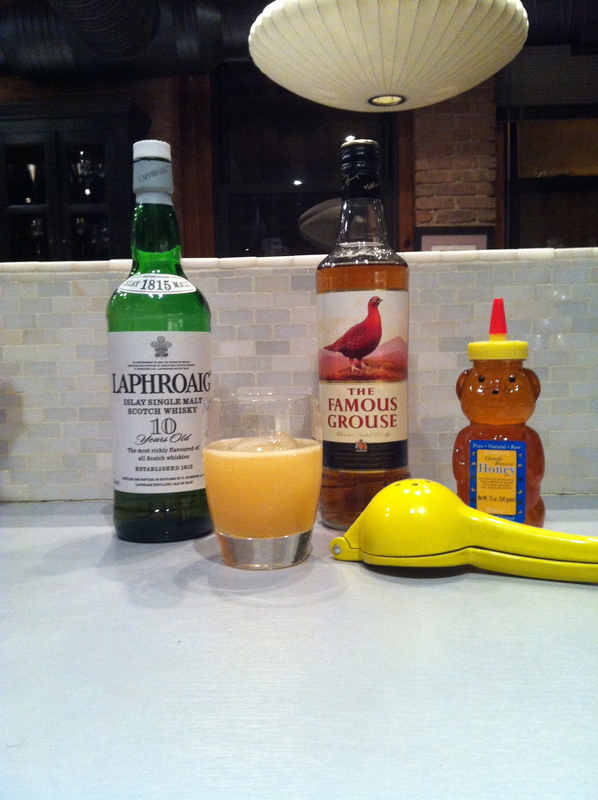 An alternative to creating a ginger infused honey syrup is to use a honey simple syrup and then muddle 3 slices of fresh ginger into the bottom of the cocktail shaker prior to adding the ingredients. This technique is recommended by Paul Clarke of seriouseats.com for home mixologists because the ginger flavor can lose its luster before a bottle of the infused honey syrup is gone. 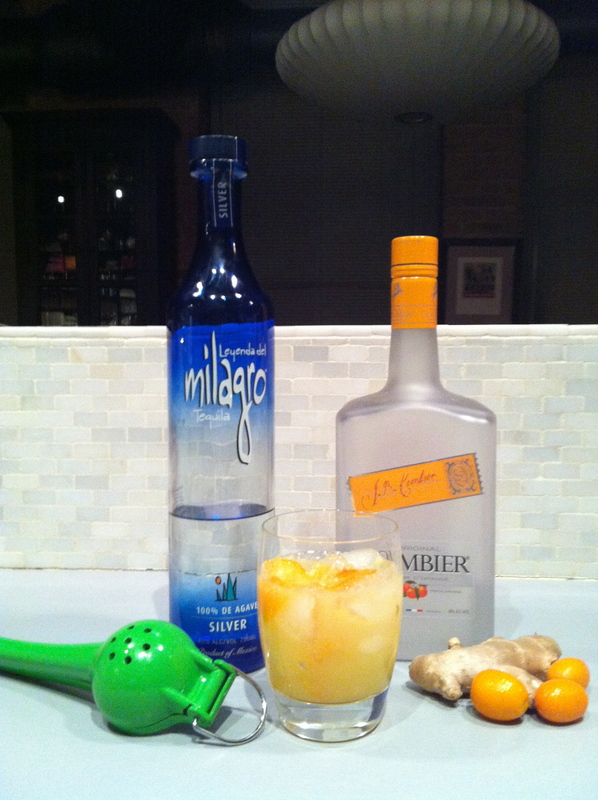 Preparation: In an old-fashioned glass, use a muddler or bar spoon to lightly pound the ginger – no need to pulverize. Add cranberries and sugar and muddle again. Add the gin, apple liqueur, and lemon juice. Then fill the glass with ice and pour the contents into a shaker. Shake briefly and pour everything into the glass. Bonus Tip: To infuse produce that’s chunkier (like a handful of cranberries or a couple of slices of fresh ginger) into your drink, start by muddling. This recipe was listed in the November 2011 Esquire and was attributed to Dushan Zaric, co-owner of Employees Only in New York City.